By Contributing Author 1 Comment - The content of this website often contains affiliate links and I may be compensated if you buy through those links (at no cost to you!). Learn more about how we make money. Last edited January 28, 2019 . While it seems blindingly obvious and begs the question of why anyone would want to do anything else when investing, you might be surprised at how hard it is to put into practice. Investing is a discipline which plays not only on astute analysis and remarkable luck but also on people’s behavioral responses. Holding onto your stocks during periods of intense market volatility takes a lot of courage and isn’t what the human brain is wired to withstand. But how do you approach investing if you don’t have a background in it? Without much prior experience, it’s tough to say. There’s an ocean of information out there and sorting through it requires deliberate, thoughtful reflection when piecing together what you’ve read. Let’s walk through some simple steps on how to start investing money. Investing isn’t easy but, at the same time, it shouldn’t be seen as a frightening endeavor. If done wisely and consistently, investing can separate you from retiring comfortably at a reasonable age and working into your golden years out of necessity. The market ended the year on a roller coaster ride and lower overall. Many investors feel the market craves clarity on the market’s path and wonder how the next couple of months will unfold. Stock market bulls (investors who want the market to rise) hope progress on U.S.-China trade negations, corporate earnings, economic data, and the Fed’s recognition of how interest rates affect inflation with their policy tools will prove the bull market is alive and well.. Many economic reports show a slowing housing market but strong employment and wage numbers coupled with strong retail spending and consumer confidence readings. Investors question if this economy is beginning to falter or if the recent pullback is merely a part of the overall aging bull market. Analysts and market watchers are keenly watching market and economic activity in the coming months for signs of a continued bull market or the beginning of the end to this upward trajectory we’ve seen since the Great Recession. The market volatility of the past couple months has many worried about the market’s trajectory and require more data to decide the fate of the market. Robust economic data will tell the story and if as strong as some think, has many investors feeling the fear of a recession is overdone. After all, more than 2/3’s of American economic activity comes from retail sales, and these figures appear to be strong on the backs of a strong labor market. Of further note, this is where the skepticism I mentioned above should come into play. This conflict means someone is wrong, but who? Strong retail sales figures underscore economic strength but the market fears the economy is slowing as evidenced by the stock market pullback. Perhaps both are right and yet both are wrong. The truth likely lies somewhere in between and will require more data to bear out. Stock market bulls contend the Federal Reserve will realize inflation isn’t rising as quickly as feared and the Fed has softened its language in recent months. Jerome Powell communicated to the market a need for less tightening than previously announced but remained dedicated to its monetary policy tightening if data warrants. The earlier pullback in stocks came as the market feared the Fed would be relentless in raising rates and it would bring the economic expansion to an end. But the Central Bank has moderated its language and the economic data since has mostly held up. Another chief market strategist thinks we’ve run out of tinder to burn this market down. The intensity of the decline allows him to have confidence we’re close to a bottom. He even states if it does move lower, it isn’t going to be much more from here. Simply put, a lot of negative outcomes have been priced into the stock market. More could be yet to come, but they are of a self-inflicted nature. The Federal Reserve could choose to tighten at an unwarranted pace, trade negotiations with China could break down, economic results could soften as a tight labor market makes it hard for the economy to continue growing, and the holiday season could end up disappointing. There are a number of negative items included in the stock market’s predictions for future performance and certainly ones which are warranted. However, there are also positive potential items as well mentioned above (i.e., softening rhetoric from the Fed, continued robust economic data, excellent holiday earnings announcements, and trade deals). Given the pullback, markets appear weak and have taken heed of looming risks and thus tempered optimism until more concrete data present. Bottom line: the market hasn’t had investor conviction in either direction. 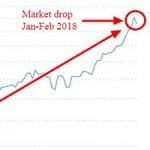 Market turmoil has colored the end of 2018 and more information is needed to decide the fate of this market rally. Naturally, you will come across individual companies. You should identify companies consistently performing well or making strides to improve. I recommend starting your journey by researching five companies you admire (preferably in different industries) and cultivating ideas about the strategies of each firm, their competitive advantages, and the core value they provide. Cast aside companies if you uncover something you don’t like. Don’t let sunk costs guide your thinking. For the reasons listed above, it is always prudent to be cautious when it comes to investing. 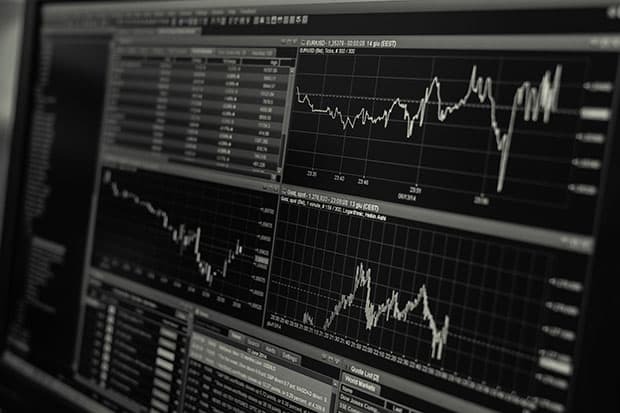 However, if you feel conviction in the companies you’ve analyzed, there are a number of retail brokers you may use to invest in individual stocks (e.g., Interactive Brokers, T.D. Ameritrade, Charles Schwab). By doing your due diligence, you will be able to follow these companies and see if they continue to perform as you expect. If a company makes a decision you don’t agree with or think will adversely impact its value going forward, you might consider cutting your losses short and moving on. It’s more art than exact science. 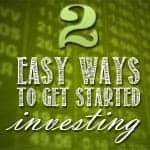 By writing this step-by-step guide, my goal is not to simplify the act of investing. In fact, what I want to convey as clearly as possible is just how difficult it is to invest in individual stocks. Personally, I use both of those services to hold my ETFs. Both services offer commission-free trades, which makes it great to start with any amount of money you can afford to invest. 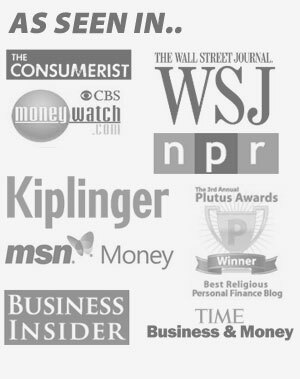 I started using these services in my mid-20s after having used Scottrade/T.D. Ameritrade to invest in individual securities. Now, I prefer Betterment because it automates my ETF holdings based on scientific research matched to my stated financial goals. 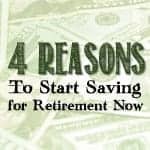 For example, I have a Roth IRA account with the stated financial goal of growing money through retirement in about 30 years. Because of this goal, Betterment chooses to hold a diverse portfolio of 90% ETFs ranging from small cap value, to globally diversified ETFs. I recommend ETF investing be how you start your investing journey, especially when you can hold these investments for long periods of time. This allows the last real-edge in investing to work its magic: time in quality investments. I think about smart investing in a way that minimizes mistakes instead of pursuing maximum gains. I don’t like taking on uncompensated risk. Take the classic example of deciding to pay off student loans or invest. First, you must distinguish between the expected return which comes from investing and the guaranteed return received from paying off debt. Try to keep in mind a sustainable portfolio requires a healthy balance of risk and reward. It requires exposure to many different investments and ways to earn a return on your money. This article was written by Riley Adams of Young and The Invested. He is a CPA, has a master's degree in economics and is a senior financial analyst at a Fortune 500 company. He enjoys helping others navigate the sometimes-murky waters of finance. Investing portfolio should be Investing more, spending less and reducing debt. I have also some investment, but your post teaches how to invest in the right way in time. It’s really innovative post. Next Post: 150+ Birthday Freebies: Where To Get Free Stuff On Your Birthday This Year!